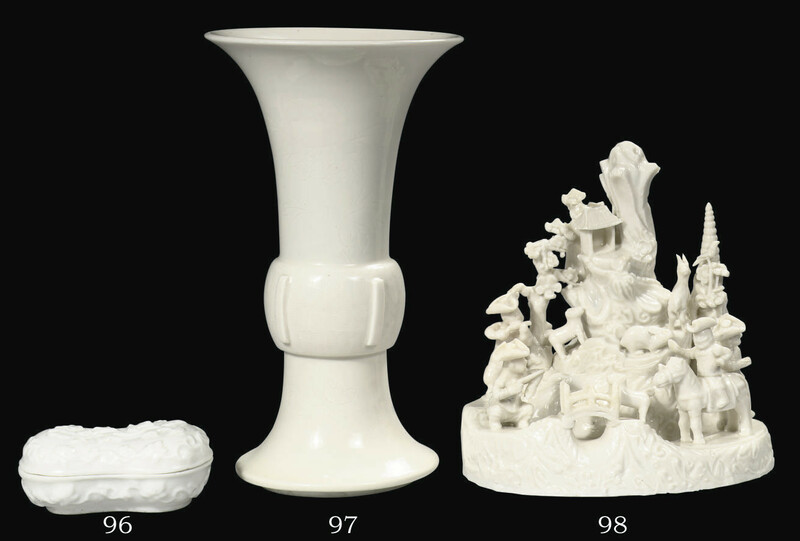 The box was included by S. Marchant & Son in their exhibition of blanc-de-chine, June 1994, p. 72, no. 111, (see label attached to the reverse). A similar box was in the Groninger Museum Exhibition of Blanc de Chine, 1974, no. 15. Eight other pieces were offered in the Vung Tau cargo, sold in our Amsterdam Rooms on 7 and 8 April 1992, lots 459 and 460.